For those of you who missed it, part 1 that contained all the teams in the lottery can be found here. In part 2, the order is a little off as we had the writers make the picks before the conference finals were complete. 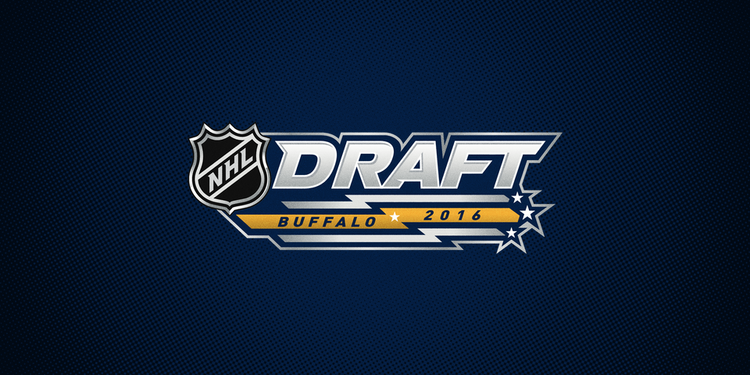 We have the Bruins selecting with the San Jose Sharks pick at #27, however, come draft day, that pick will be either 29 or 30. Despite making the playoffs in each of the past four seasons, it is plain to see that the Wild are on the decline, and they can’t really start a rebuild with all of those bad contracts. Plus, at the 15 spot, it is unlikely they will be able to select anyone who can make an immediate NHL impact. With Ryan Suter not getting any younger and defensive struggles abound throughout the regular season, the blue line seems like the best place to start. McAvoy just completed his first season at Boston University and has emerged as a promising two-way presence with good hockey IQ. The youngest player in college hockey finished the season with a 3-22-25 line for the Terriers. By contrast, last year, Boston College freshman defenseman Noah Hanifin put up 5-18-23. I expect McAvoy, a 6’1″, 211-pound right-shot from Long Island, to stay one or two more years in school before turning pro. Max Jones’ stock has dropped a little as he lost his cool and picked up a 12-game suspension that saw him miss much of the OHL playoffs, but the kid can flat out play when he’s got his head screwed on right. There’s maybe five or even six players you’d look at on London first when watching them play as a whole, but the fact is he’s still an exciting player individually and should translate well to the NHL level. Touching as high as 11 on some draft rankings, if Jones is still around at 16 he’s the type of player the Wings should go after. The Wings are in need of a new franchise player and probably aren’t getting it in this draft, but bringing in a young piece like Jones who put up 52 points in 63 games while not on the top line isn’t a bad choice midway through the first round. Talking to NHL team employees who had their eye on Jones later in the first round, it’s likely that if Detroit does go for Jones it’ll lead to many teams dreading going up against him in the future. Ron Hextall heads to a familiar place to find defensive talent, as the Flyers select defenseman Jake Bean from the Calgary Hitmen. While many will argue that a left-handed puck moving defenseman is not the organization’s most pressing need, Bean is the best player available and he further solidifies an already elite group of defensive prospects. Bean excels at advancing the puck both by skating and passing, and those talents showed up on the scoreboard this year in the form of a 64 point season. Bean will have an opportunity to reunite with his defensive partner Travis Sanheim in Philadelphia as he seeks to truly tap into his outstanding potential. So, I get a 6’6″, 220 pound , dynamic two-way forward with the 19th pick? Should I send a fruit basket to the general managers before me? The Islanders have used their last four first round picks on forwards (Michael Dal Colle, Josh Ho-Sang, Mathew Barzal, Anthony Beauvillier), so I really wanted to go defense here. But Brown’s size and two-way potential are just too tempting to pass up here. He may not be ready for three seasons, but with John Tavares, Barzal, and potentially Frans Nielsen (set to become a free agent) down the middle for the immediate future, the Islanders can afford to be patient with Brown’s development. Something tells me 5 years from now we’ll all be wondering how Brown wasn’t picked in the top 5. I initially wanted to bring in Max Jones with this pick – but in the instance that he’s already gone, Bellows is a solid option to bring more dynamic talent to the wing for the Coyotes. They’ve been shoring up their center depth lately, and offer a slew of options – Dylan Strome, Christian Dvorak, Ryan MacInnis, and Maxim Letunov – at that position moving forward. Teams can always use more smart, heavy-bodied wingers, though – and that’s exactly what Bellows brings to the table. A US Development Team standout, the forward offers what some of Arizona’s other prospects still lack in good skating ability, and his scoring looks good. An accurate shot, hard to move off the puck; after taking the smaller Nick Merkley with the team’s second pick last year, Bellows would be a good complement to bring on board this time around. With the Jets’ second first-round pick, acquired in the Andrew Ladd deal, I took Russian center German Rubtsov. I was really hoping that one of the defencemen projected to go in the teens (Bean, McAvoy, or Fabbro) might drop, but no luck. I chose Rubtsov over a handful of other intriguing options (including DeBrincat, Kunin, and Girard) because he has both a high-upside skillset and a really solid two-way game, by all reports. He put up 26 points in 28 games in the MHL this year, and could be given time and close attention with the Manitoba Moose to adjust to the North American game. Abramov is likely the best player available at this spot. He may only be 5”9’, but what he lacks in size he makes up for with raw skill. Abramov’s combination of skating, puck-handling, goal-scoring, and overall offensive play-driving make him a sound bet to ultimately become a top-six forward in the NHL. His 1.48 points per game and 3.52 shots per game are also among the best in the draft. With the Ducks seemingly stacked at D for eternity, it makes sense for them to grab a high risk/high reward type forward in DeBrincat. Anaheim is in dire need of some younger, offensively-gifted forwards that they can slot in to their top six alongside the highly paid Getzlaf/Perry/Kesler trio, before their window is entirely closed. He looks like the atypical offensive-minded defenseman that the Stars need on their blueline in a few years. Though the Stars need immediate help, going in a similar vein to how they have their roster designed now, it’s definitely enticing to consider Girard as an option. The only real thing going against him is his play in his own end which lends itself to the “perfect” fit in Dallas given how their blueline was this year. The Capitals could probably get Sokolov in the second or third round, as his stock has plummeted in the eyes of most scouts over the course of this season due to questions about his conditioning and effort. But Washington doesn’t hold picks in the second or third rounds, so they take the risk and roll the dice on this high-end skilled Russian right here. The mantra for the draft is “take the best player available” and the Bruins get a chance to right some of the wrongs of 2015 with this pick. While nothing really makes up for passing on Barzal, Connor, and Konecny, getting a good two-way center that is already off to a hot start on his NCAA career is pretty decent. Steve Yzerman always drafts for best available rather than for need. At the same time, he surprised everyone in 2015 when he traded down from his first-round pick for #33. That player became Mitchell Stephens. Will he trade down with the 28th this year? Honestly, he probably will. There were a few interesting players available, but no clear consensus pick for 28th. I decided to select Dennis Cholowski because of need rather than best available, the opposite of what Yzerman will probably do (and I still think he’ll trade down). Cholowski is a slender yet skillful left-shot defenseman. With the amount of talent at F stacked up in Syracuse and the OHL, Tampa’s got interesting pieces that will continue to fight for a spot at training camp. Defensemen develop more slowly, so now is the time for Tampa to fill a few slots that might empty. Anthony DeAngelo has another year in Syracuse to gain maturity, but Sleator Koekkoek, left-shot D, is undoubtedly going to make the team out of camp next season. Cholowski has things that Tampa tends to like: he’s a careful defensive player with good feet, more of a Stralman than a Hedman, who uses his good hockey sense and vision to make long passes. He finds ways to be in good positions on the ice, and is fast enough to find the puck swiftly. His weaknesses are his slow shot and, obviously, his size. Tayor Raddysh is everything you want in a late first round pick. He’s got size potential (6’2″, 198lbs) if that’s your thing. He’s got a scoring touch (73pts in 67 games) and uses that size to force his way into scoring areas and get the job done. He’ll be a good addition to Carolina’s forward group, and is ready to make the jump to a higher level than the OHL when it’s available to him. Also his name reminds me of the Fraggles, so thats a bonus. I’m not seeing a lot of free falling talent here and there’s a few interesting options. I know I want to leave the draft with a good goaltending prospect, so I’ll draft Carter Hart now and take the evening to decide which skater I prefer with the first pick of the second round tomorrow.